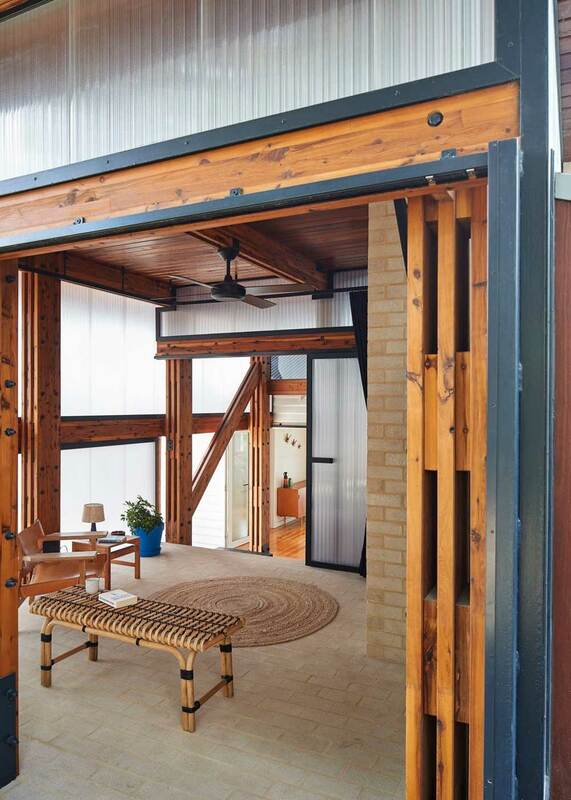 The Dorman House by Andrew Maynard Architects is a determined example of preservation in the face of common practice. 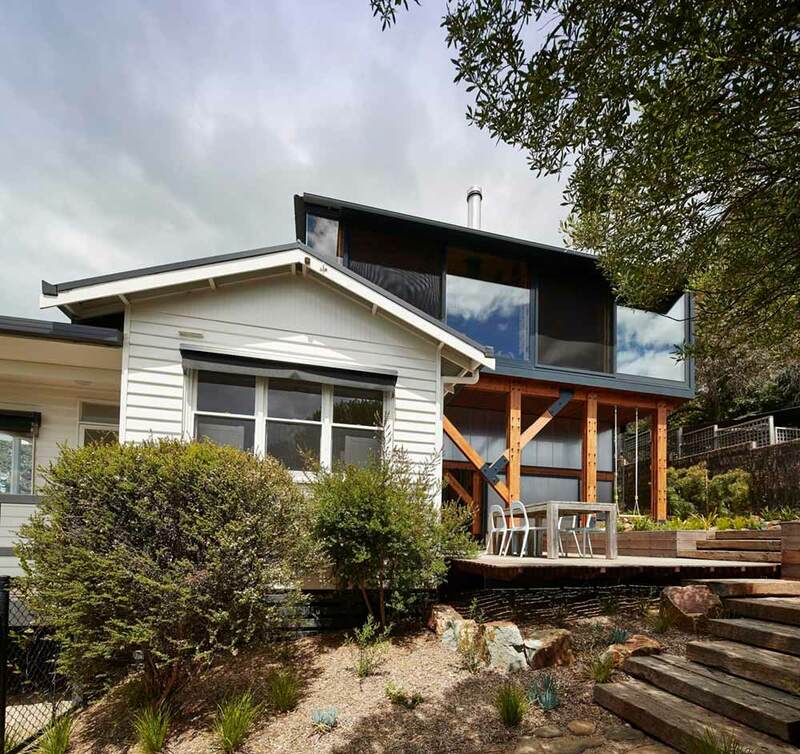 In the mind of the architect the ‘easy way out’ is a non-starter – a cop out many developers and homeowners fall victim to when faced with the realities and difficulties that come with an adaptive reuse project. This fact makes the Dorman House all the more remarkable. 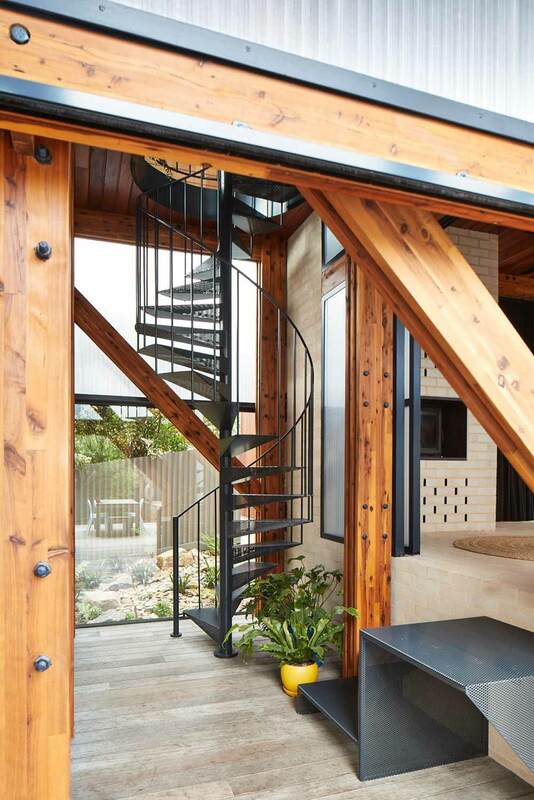 It is a modern conversion of an old Australian beach shack that turns heads as much as it raises eyebrows about the importance of remembering the past. 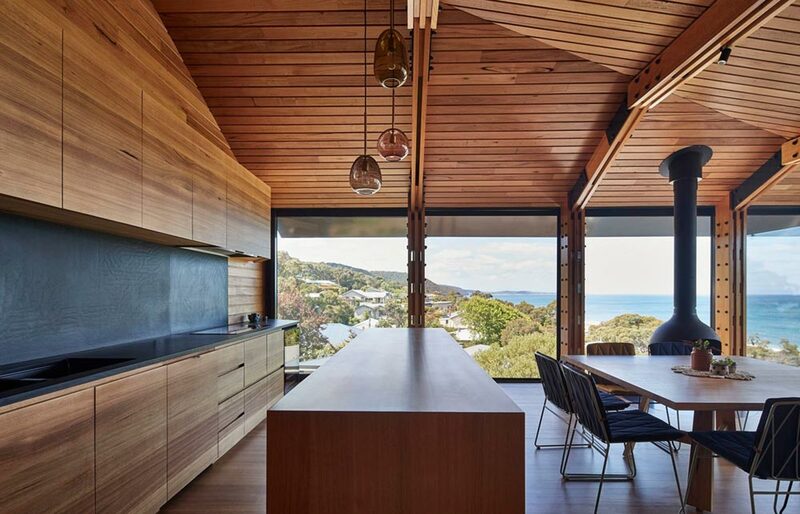 The renovation design revolves around a simple request from the client: create a wide-open ocean view without completely tearing down their ‘beloved shack.’ Maynard Architects embraced this concept and worked their magic to conjure up a collection of spaces and views typically reserved for ground-up construction. It is a rural addition stacked on top of a suburban relic, resulting in a Frankenstein-esque amalgamation of old and new, shack and palace. 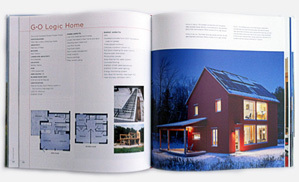 From the street, the stitched together nature of the project is immediately apparent. 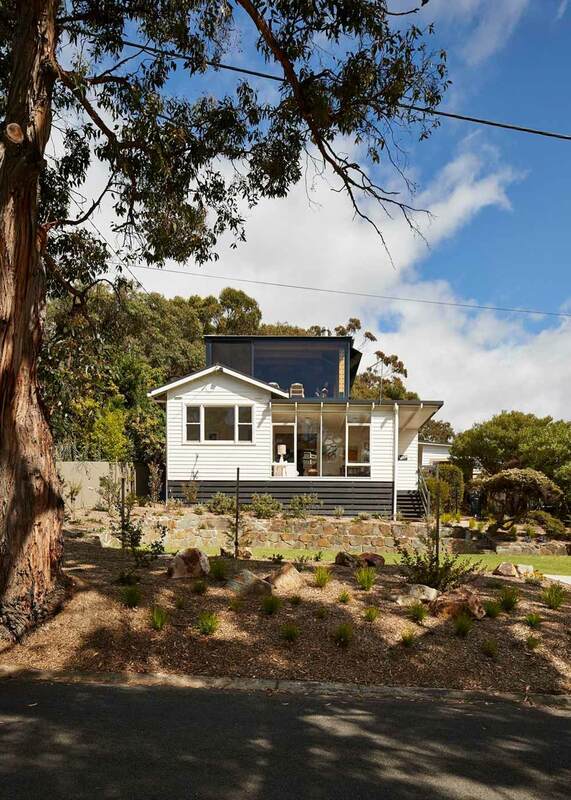 The addition sits proudly and unapologetically atop the existing, largely undoctored, suburban structure. It presents a jarring introduction to the home, which slowly begins to reveal itself before tetering auspiciously on the line between genius and lunacy. 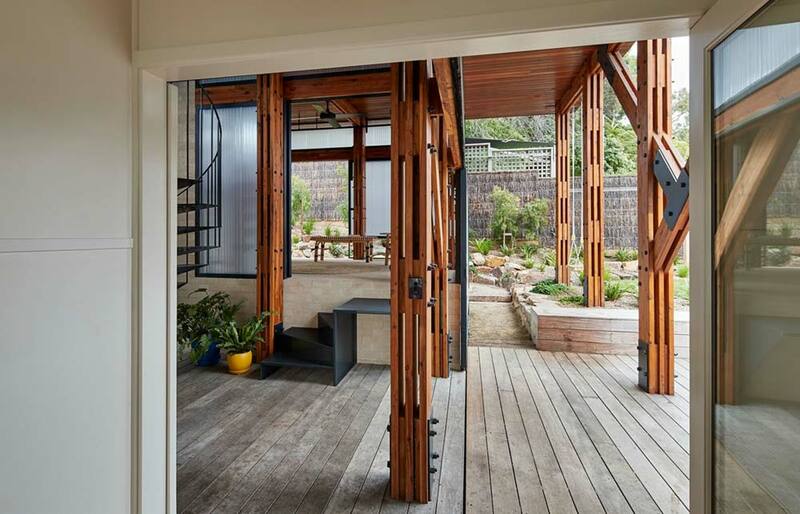 Upon entering the front door, however, those apprehensions give way for amazement, wonder, and a completely bewildering sense of awe as the home becomes something different entirely. 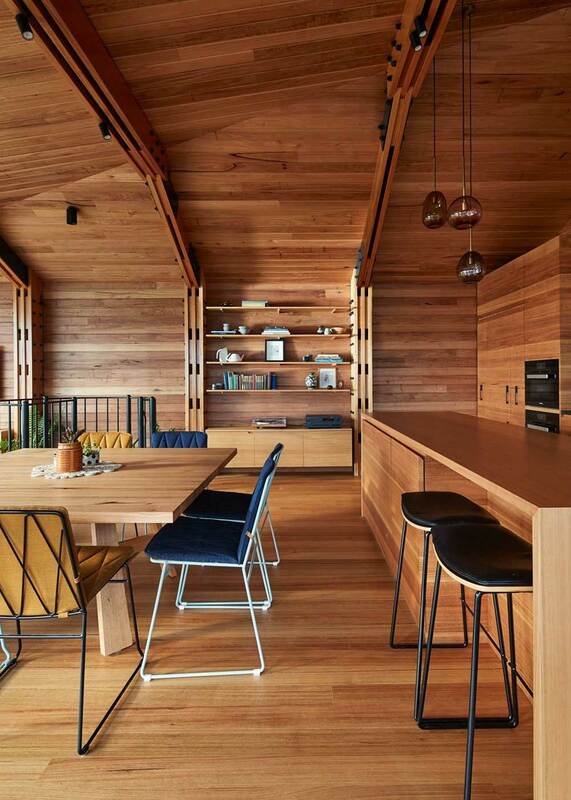 The interiors are clad almost exclusively in native wood boards. 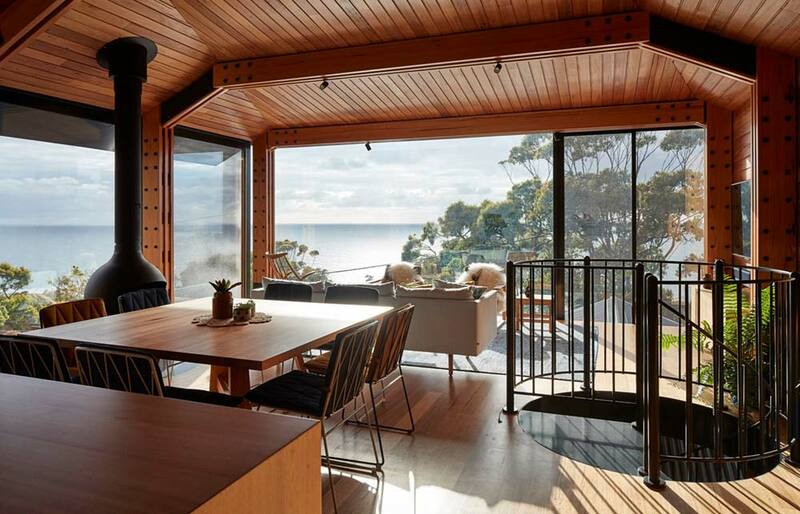 Floors turn up to walls, walls turn over to ceilings, and everything that happens in between is engulfed in an experience that points you directly out towards the magnificent ocean view. After all, it’s this single view with which the entire project rests its merit, and without a doubt it responds to the hype. 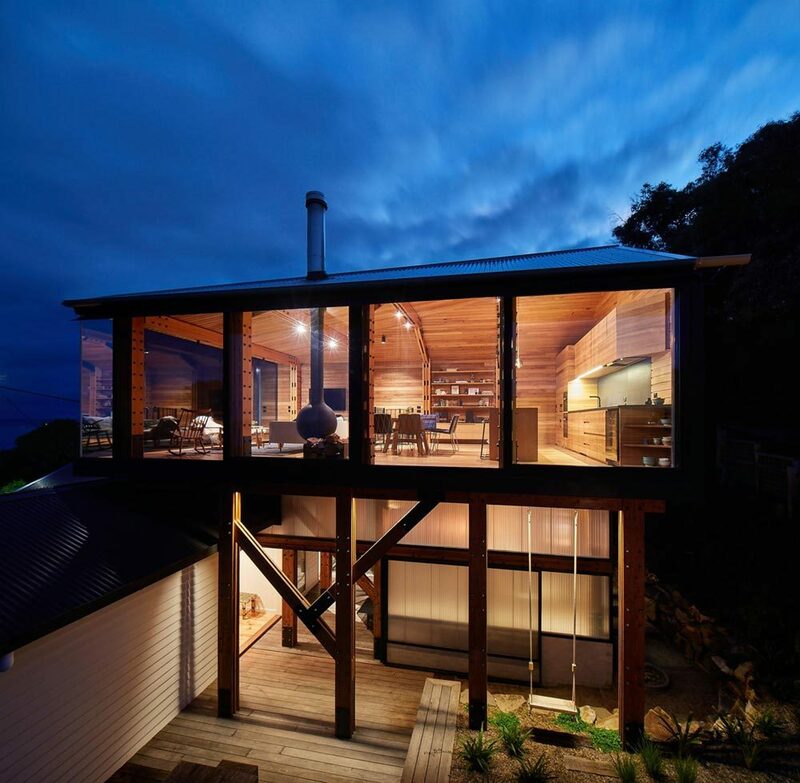 Andrew Maynard Architects had a challenging task, but a necessary and evident one. They were going to save this beloved shack as if the fate of their practice depended on it. 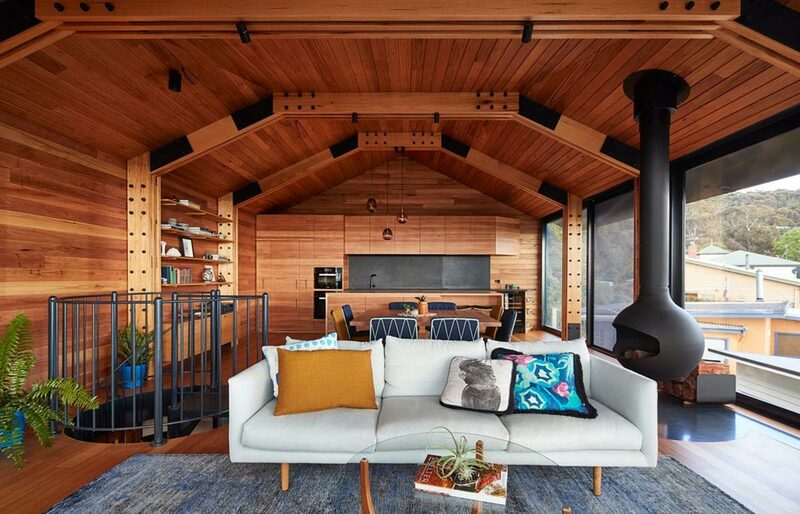 The design embraces fully the idea of preservation without aggravation, stitching together a modern addition with a proud, but humble existing structure.